Martin Fayulu was tipped to win the election prior to voting on December 30 last year. But he came second when the results were announced. The Democratic Republic of Congo has been relatively calm after opposition candidate, Felix Tshisekedi was declared winner of the disputed presidential election. But it appears there could be more anxiety among citizens in the coming days. One of the defeated candidates, Martin Fayulu has announced his intention to challenge the results in court. 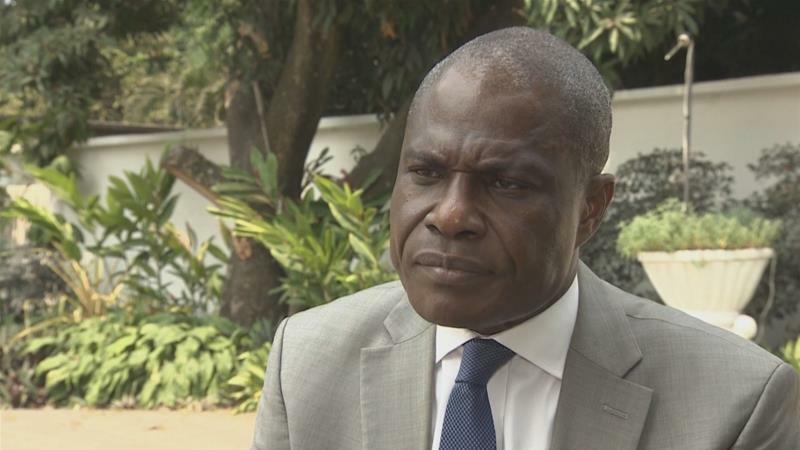 Martin Fayulu is quoted by the BBC as saying that he “will do whatever is possible for” him “to do to get the truth because the Congolese want change”. Fayulu was tipped to win the election prior to voting on December 30 last year. But the results published by the Independent National Electoral Commission (CENI) shocked many. Fayulu came second in the polls. He was representing a coalition of opposition parties in the poll has described the results as a work of a “coup”. “Felix Tshisekedi has been nominated by Mr Kabila to perpetrate the Kabila regime. Because today the boss is Kabila,” Mr Fayulu told the BBC. There have been pockets of violence following the announcement of the election results. At least two policemen and two civilians have been killed. Supporters of Fayulu continue to agitate pouring onto the streets to protest the results. Some of these violent reactions have been recorded in Kikwit, a Fayulu stronghold. In DRC’s third-largest city, Kisangani, there were some violent protests as well. Final results are expected to be confirmed by January 15 and the new president sworn in on January 18. The head of the African Union commission, Moussa Faki Mahamat has said that any dispute should be “resolved peacefully, by turning to the relevant laws”. Based on the provisional results Mr. Tshisekedi will be the first opposition candidate to win such a vote since DR Congo gained independence. Felix Tshisekedi refused to back Fayulu ahead of the election after withdrawing from an agreement to back the opposition coalition’s candidate. He will now replace President Joseph Kabila who had been in power for 18 years. President Joseph Kabila did not take part in the December 30 election. Kabila took over as president from his father Laurent who was assassinated in 2001. He frustrated the holding of the election which had to be delayed for several years.